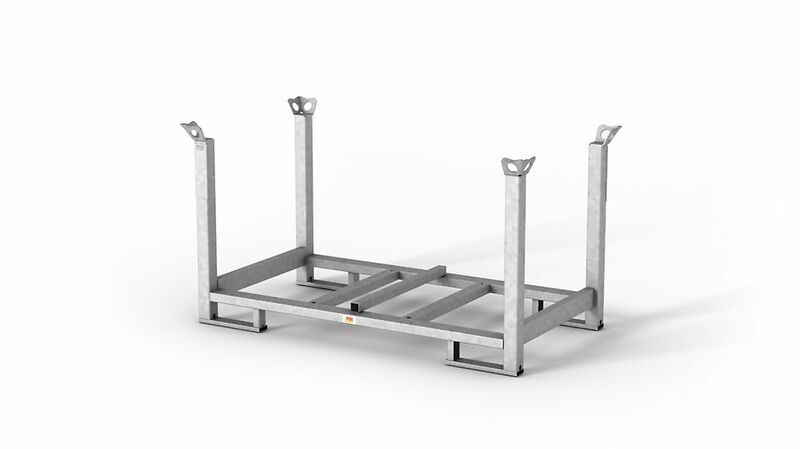 The pallets are galvanized and available in the sizes 80 cm x 120 cm or 80 cm x 150 cm. They are used for stacking and transporting formwork and scaffolding elements. Up to four frame pallets can be stacked one above the other. The permissible load-carrying capacity is 1.5 t. Like all other PERI pallets and frames, they are suitable for crane and forklift handling and can be moved with the pallet lifting trolley.